Is the Venice Connected Card a failure? Why I don’t suggest the Venice Connected Card? The Venice Connected Card is not my favorite. This city pass offers an ‘a la carte’ package of transportation and other tourist services in Venice Italy at a lower rate. It is in a handy card, but you feel freer if you do not have this pass... You'll discover that you didn’t use all of the purchased services. I think it has a frustrating pricing scheme which is tied to a certain time. The time starts running when you check in for the first time. I prefer another card. This is the Tourist Travel Card for transportation use only in and around Venice and pay the museums separately. Often it is cheaper instead of the Venice Connected Card since the museums or not that expensive. Even the use of the public restroom is included on the Venice Connected Card.And you can use it as many times you need. But don’t worry, without the Venice Card you can also visit the restrooms, but you have to pay each time. Normally it costs € 1,00 to € 2,00 each time. There are no public restrooms on the less touristy places in Venice... You can use the toilets in the museums and in the cafes and restaurants. These are public and often there is a dish where you can leave some coins. Note: the public toilets are NOT included in the Tourist Travel Card (continue reading below). So, why to choose the Tourist Travel Card? 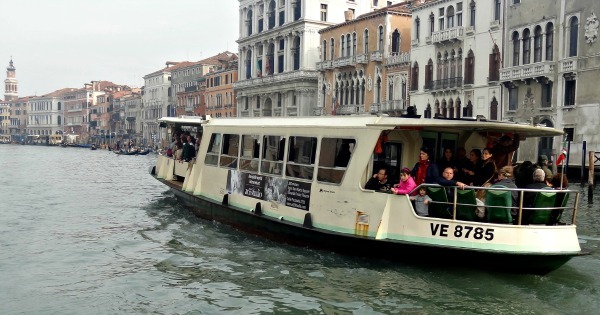 The Tourist Travel Card of the company ACTV (public transport company in and around Venice is advantageous if you frequently use the vaporetto to get anywhere in the Venice Italy region. You can use the travel card to Burano, Murano and Lido. The card is valid on all buses and trams on the mainland (also on Lido) and also the vaporetto lines except the Alilaguna line and the lines 16, 19 and 21. 1 ticket is € 7.50 (duration 75 minutes). You can buy the Tourist Travel Card at the ACTV office at Marco Polo Airport or the Hello Venezia office in Piazzale Roma. But you can buy it in advance online via the website of ACTV. The rates are the same online. Via Tiqets you can have an E-ticket. How convenient! The shuttle bus from the airport to Venice is not included but can be purchased additionally. TIP: The Tourist Travel Card, you pay only for transport. Remember that Venice is already fantastically beautiful, so you easily forget your planned visit of a museum. It's romantic to stroll through the narrow streets and over the little bridges. Get a discount under 29 years old? Venice Italy has a card specially for the younger ones. This is the Rolling Venice Card for tourist between 14 and 29 years old. This card you can only buy in Venice itself. If you arrive at Piazzale Roma, you can see a building of ACTV- and the Hello Venezia Ticket Office. At the same window you can buy the Tourist Travel Card and the Rolling Venice Card. For the Rolling Venice Card, you need to bring your identification document to check your age. It is a significant lower rate, for example; a Tourist Travel Card for transportation within and out Venice for 72 hours will cost you only € 22,00 instead of € 40,00. You cannot purchase the 'Rolling Venice Card' in advance via the internet is. 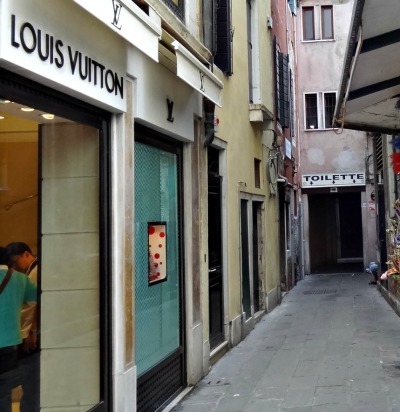 You have read about how I experienced this Venice Discount Card. There is enough to explore, as you can see. Please click on the links to explore my site more...And share my site via Facebook or Twitter.